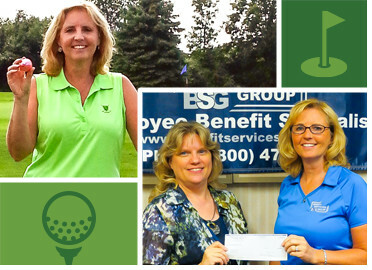 Watertown, N.Y. — Congratulations to MaryAllyn Baeslack who recently won $10,000, paid for by Hole In One International, during the 6th Annual Golfing for Community Action tournament. Baeslack won the big cash prize, which was sponsored by the Community Action Planning Council of Jefferson County, after she drove her lucky pink golf ball 137 yards on the 5th hole with her hybrid 6 wood. It was Baeslack’s first hole in one. In addition to receiving a generous donation from Baeslack, the 15 team golf tournament raised $8,500 in support of personal care items and school supplies for children of low-income families. Looking to raise money for your cause? Hole In One International can help! For more information or a free, no obligation hole in one insurance quote, give us a call today at 800-827-2249.